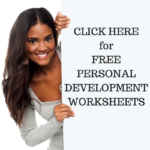 You’ll be absolutely delighted to realise that this website PersonalDevelopmentInsights.com is an initiative of the Positivity for Better Living Foundation – under the New Humanity Collaborative Communities. Our focus and dedication is to offer Personal Development resources and techniques to help people positively change their lives and be empowered in their living. This is a Private Foundation, not-for-profit, tax-exempt, non-government organisation, community service organisation. The Foundation is based in Queensland, Australia and all volunteers are Australian citizens.